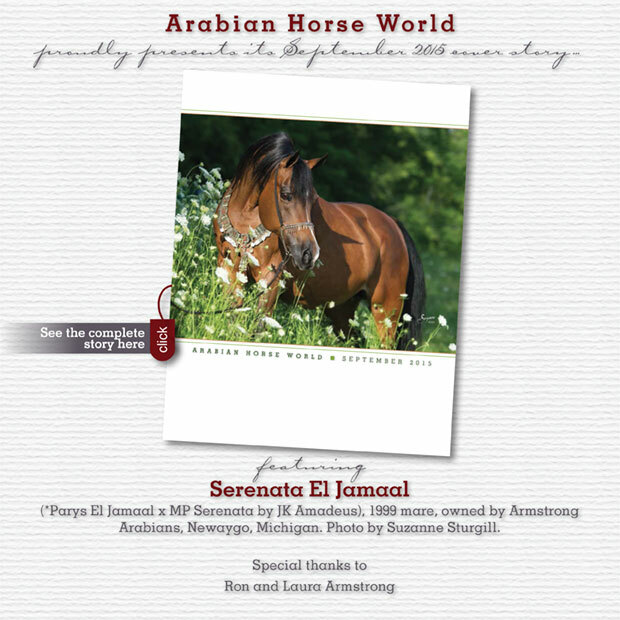 Serenata El Jamaal… the world’s mare! Serenata El Jamaal: the soft nicker of a mare nuzzling her foal for the first time floats through the cool spring evening. This annual event continues to ignite the passion of Ron and Laura Armstrong. Arabian Horse World’s September cover story by Jeffrey Wintersteen.